In this report we will be discussing about the target company accounting issue that has been emerged in the recent time. Target a biggest discount retailer which has been running its business all over the world since very long time and recent CEO Brian Cornell has been working with other key managerial persons to keep the company sustainability at the right growing process. In this report we will discuss how Australian discount department store target has been hit by the key issue that has been come into notice due to biggest accounting scandal. In this report various issues regarding with accountant professionalism and their code of conduct will be discussed and will assist us to understand several factors of accounting issues in the Australian conglomerate Target retail store company. In addition to this Target company has showed significant increase in its profit by allowing its supplier to have more rebates on its orders. Wesfarmers has started to cover its all viewpoints with a view to share it with all the stakeholders in determined manner by announcing to the Australian stock exchange. Wesfarmers has been seeing all the possible events such as company’s appointment and resignation throughout the time and who could be responsible in this type of malfunctioning of the company (Ciobanu, et. Al., 2014). Target’s earning and its EBIT in the end of the December should have been AUD $ 53 Million but due to the accounting errors and staffs malfunctioning it was found to be at AUD$ 74 Million. This amount of profit has found to be increased but Wesfarmers has not been ignoring this accounting error and using several investigation to underpin the problems area and identifying the real people involved in this case. In the recent time of the report passed by Wesfarmers has showcased that company should follow double entry accounting method and should be indulged in taking all the relevant invoices and journal entries into account before reporting it to the financial statement of the company. Accounting policies are used in organization so that it could avoided all the possible mistakes and errors to make financial statement more stable, true and fair in the eyes of laws or stakeholders at large. With the another fact and recent interview given by the Wesfarmers that this accounting errors has come into the notice when Australian financial review reported that Wesfarmers in looking forward into the deals done by Target with 30 foreign suppliers that has boosted profit by 25 % in the significant time. Now in order to overcome these effects Wesfarmers has been making strategic arrangement with suppliers (Visic, 2013). With the all given information and overall view point of this report accounting issue which has aroused in Target company has provided that in order to maintain company in adequate manner there needs to be propel accosting policies and frameworks. Employees who have booked more profit by allowing high rebate to the supplier and violating laws and trade policies has shown that there should be complete record of each and every single transaction of the business and they all should be complete report at the top level. Wesfarmers which is a parent company should indulge in accepting different Australian accounting standard and also needs to implement a proper reporting system so that there is put complete curb in the transactions and business decisions taken by the subsidiary company. In the recent news Wesfarmers has appointed accounting firm EY to investigate whether Target business actually inflated its earning by brought forward supplier rebates. In addition to this company should also consider notes on account prepared by the auditor on the transaction made by the Target company during the given time manner. Records collected from several sources depicts that Company’s profit inflated due to following two reasons given accounting errors or malfunctioning of the staffs members. Both problems in company are common to overcome and in order to develop an effective accounting process company should make mandatory to ad pop all the accounting standard and international accounting policies for recording and keeping transaction in identified manner. In this report we have discussed all the critical viewpoints regarding with all the possible information of the Target Company and losses occurred to its image due to accounting errors. Now I would like to conclude my report by saying this that company needs to have proper surveillances on all the relevant factors so that complete strategies could be developed to overcome seen and unseen accounting problems in identified manner. Government and various institutions have issued various accounting standard and intercalation accounting policies for preparing financial stamen for the proper governance of the company in the long run. In this report we will be discussing current exposure draft or proposal for a new accounting standard for new accounting standard which have been opened for the public to comment to identify its several merits and demits in the view points of the public. IFRS stands for international accounting standard developed by international accounting standard board that is becoming a global standard for preparation of financial statement of the company at large. In the recent report there is major issued which have come into notice for adopting IFRS in the countries or by corporate entities are shown as below. IFRs have not been adopted at global level which results into failure of global acceptances and results into less creditability in the eyes of stakeholders. Existence of GAAP has provided so many hurdles in the implementation of the IFRS in the examining reporting system of the organization in Australia. Conversion of IFRS is much more of accounting functions and affects many aspects of the company e.g. tax implication, structure of the organization and its strategic policies and framework. In the proper implication of this standard various comments has been received from these organization given as below. All the parties have given their Conesus to pass this standard in the public standard and following viewpoints of all the four bodies are given as below. Eumedion- it is a representative body of all the investors and has to develop effective sustainable governance in all the companies. In the IFRS we have seen the proportional benefit and very much in line with our comment letter on the topic of prudence part of the IFRS. In the legal form this framework provides clear economic phenomena of corporate governance all over the world. AAT- The association of accounting technicians have critically examine the rules and regulation given under term IFRS standard and its implication drawbacks in significant manner. IFRS has failed to cover the important area such as accounting concepts and entry system to develop an effective framework. Only legal objects are covered and economical phenomena have been avoided while forming accounting standard. Accounting and financial reporting Daimler group- This is accounting body which represents all the public interest in the collective manner. IFRS could be very much help in maintaining complete level of financial information in the financial statement but following shortcoming AFRDG has shown in its comment letter given as below. IFRS are the only standard rules and regulation and it is covering high cost for the organization to initially identify new standard in the existing GAAP system of accounting department. IFRS has been made mandatory for the public companies and proposal is made to cover private and nonprofit organization in its mandatory criteria. IFRS is being comprised of complex set of activities and corporate governance which has increased cost of preparing financial statement in determined manner. Columbia Business School- it is the representative body of all the students pursuing financial course in the Australia. IFRS is an international accounting system which is proposed in order to develop an effective financial accounting system for the betterment of the corporate governance. But there are following shortcoming identified in the comment letter of the Columbia business school which are shown as below. 1. Measurement area of IFRS is very effective but in some of the factors it leaves the issue too open. 2. Fair value computation methods in IFRS is also not effective as it supports only three approaches where in the other accounting standard it is covered by several fair market value computation approach. 3. IFRS is needed to be adopted at international level for its global acceptance. Assumption behind public interest- Approximately 120 nations reporting jurisdiction requires IFRS for domestic and listed company for the better preparation of their financial statement. IFRS has provided much of helps and has been developed as per the interest of the public. This accounting standard has helped company to make compliance with all the regulation of the accounting system to keep the public interest at large. IFRS is bulked up with several elements of public interest such as long term financial sustainability, accounting transact in the financial statement prepared, continue enhancement to the public, portray economic reality and further more. Government in order to provide a substantial benefit of the financial statement to the public at large and align the economic interest with the company’s growth has used several rules and regulation that showcase high level of corporate governance of the company at large. Company accountability toward its shares holders are understood to be the best concern to enhance the public interest. There are several Comment letter issued by the various bodies throughout the time. Private concern- IFRS is an international financial reporting which helps company to prepare its finial statement in orderly manner as per the latest corporate governance at the international level. With the help of the fooling benefits private interest of the IFRs could be described as below. International financial reporting standard are emerging as the global accounting reporting as it covers the entire key segment to complete governance requirement at large. 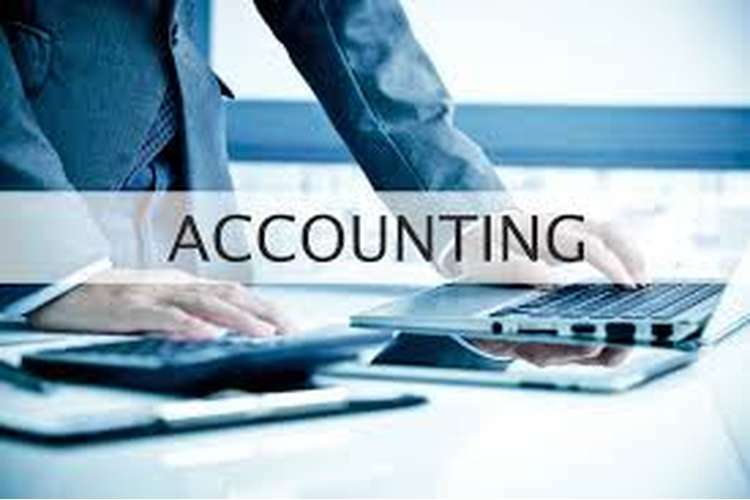 It provides common finical reporting platforms to all the companies who were following different variety of accounting principles to prepare their financial statement. IFRS has occupied acceptance around the world and many jurisdiction has adopted and all the accounting principles bases on GAAP are prepared with the assistance of IFRS accounting system. The recent exposure draft of IFRS has met the financial reporting needs of several private entities with no public accountability at large. Private companies are free to adopt this standard which assist in comply with the accounting standard of the company in the orderly manner that has helped company to develop investors’ confidence in the financial reporting. Capture theory of IFRS- The convergence process of national accounting practice into international accounting standard requires significant changes of financial statement. IFRS has helped corporate to identify several aspects of the financial factors in the statement of the company and in order to align the corporate interest with the public at large there are given several accounting principles to absorb in determined manner. It is also observed that accountant and auditors are the prime individual who perform and working hard to get familiar with the new standard to adopt and audit all the key financial factors as per the requirement of the IFRS at large (Wieczynska, 2016). Evaluation process- with the help of above description and financial interpretation skills I could easily say that public interest in IFRS could be used to cover up all the official comments given by all the organization representative bodies. Public interest depicts that companies in order to ad port IFRS needs to convert its present GAAP system into IFRS and all the financial statement preparation should be made as per the rules and regulation given under IFRS(Christense. & Leuz, 2013). In this complete report program I have understood several gains and losses of IFRS on the corporate entities at large. Now I would like to end up my report by saying that in order to make IFRS effective at the international level international financial reporting authority needs to align its regulatory requirement and financial requirement at the international level for the better corporate governance. (Jermakowicz, et. Al., 2014).